A budget deficit refers to the situation where the government is spending more than it receives in taxation and is therefore forced to borrow from the private sector. 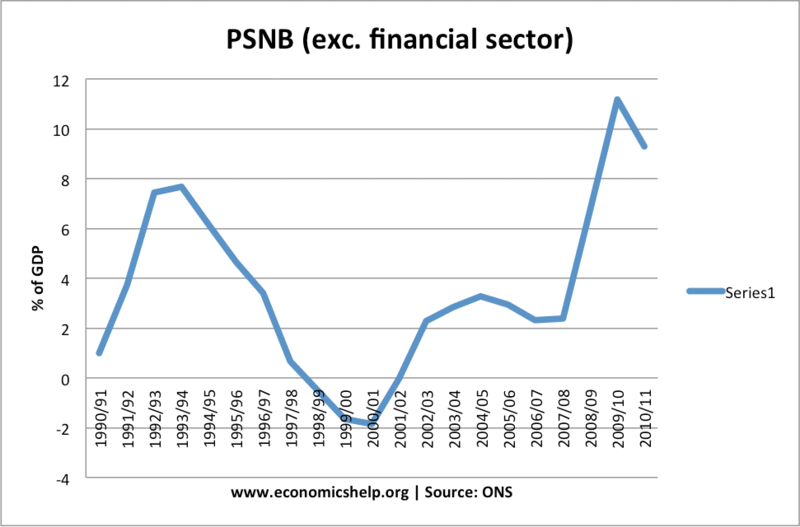 In the UK, the budget deficit is known as the PSNCR public sector net cash requirement. The National Debt is the total cumulative amount that the government owe. Note: Don’t confuse Budget Deficit with Current account deficit. The current account is concerned with exports and imports.